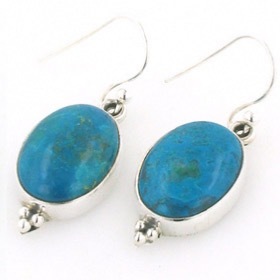 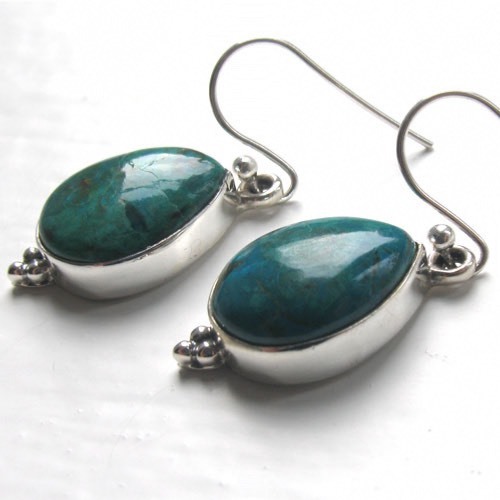 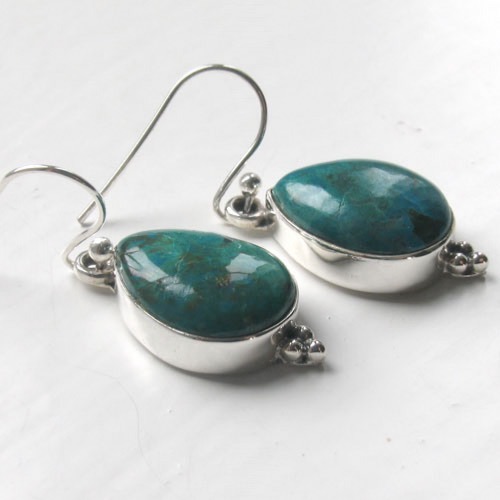 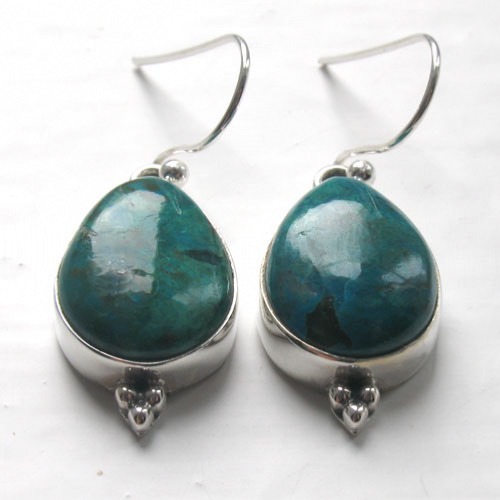 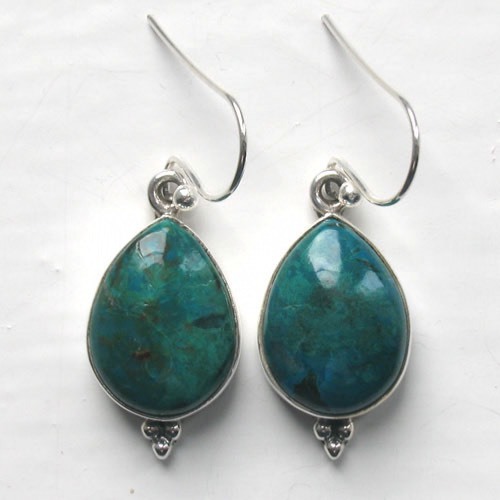 Chrysocolla earrings set in sterling silver. 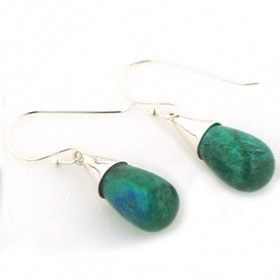 These beautiful chrysocolla tear drop earrings will brighten up many a dull day! 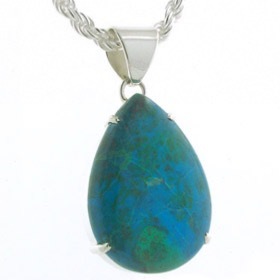 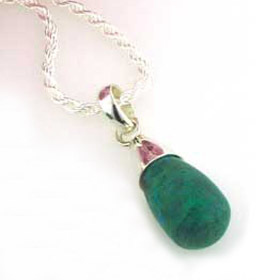 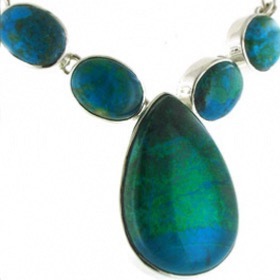 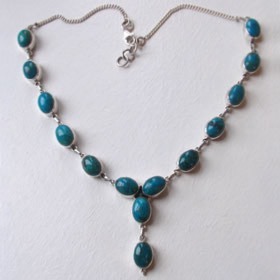 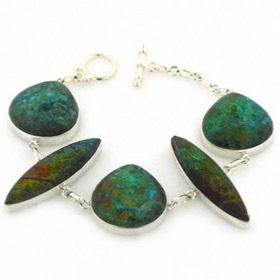 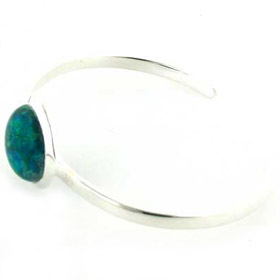 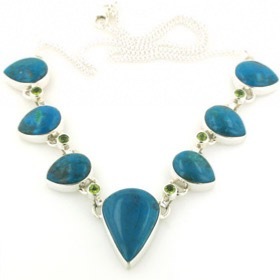 Take a look at all our chrysocolla jewellery.